This can’t feel good for the two bulls. 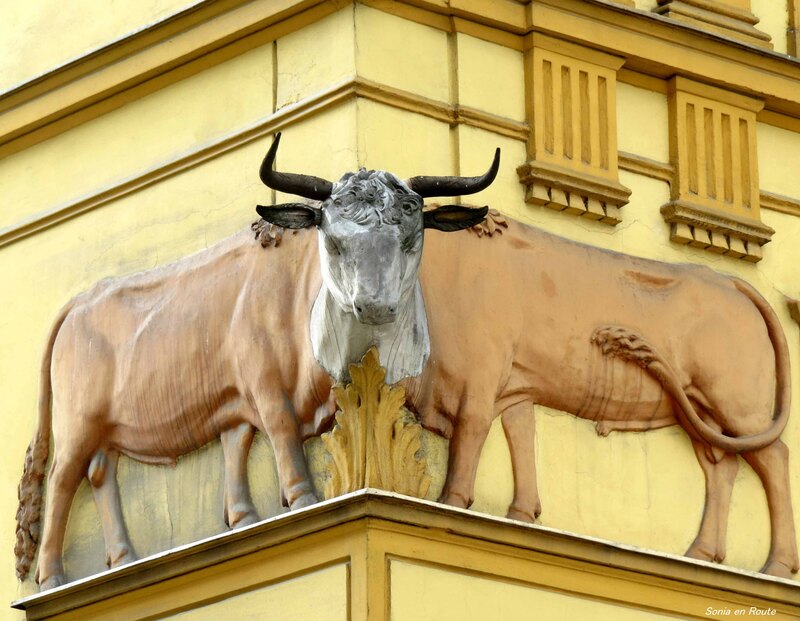 The building on the street corner features these two beasts in Swidnica, Poland. Swidnica is also a town where a very unique Church of the Peace is located, the picture of which is featured on my sister’s blog, Awa on the Road. I submit my two bulls as a contribution to Weekly Photo Challenge – Transmogrify.